Green fields and efficient sprinkler systems might not sound like a typical component in supporting spinal cord injury research and awareness, but for the Travis Roy Foundation, this was an important part of aiding its overall mission. The Travis Roy Foundation hosts an annual Wiffle ball tournament in Essex, Vermont, to raise money for spinal cord injury research. For the three fields in this one-of-a-kind facility, the foundation needed a smart irrigation and pump control system to keep the fields green and lush. Goulds Water Technology (GWT) was selected to provide an efficient system to maintain the fields all season and has been delivering optimal performance since the installation. 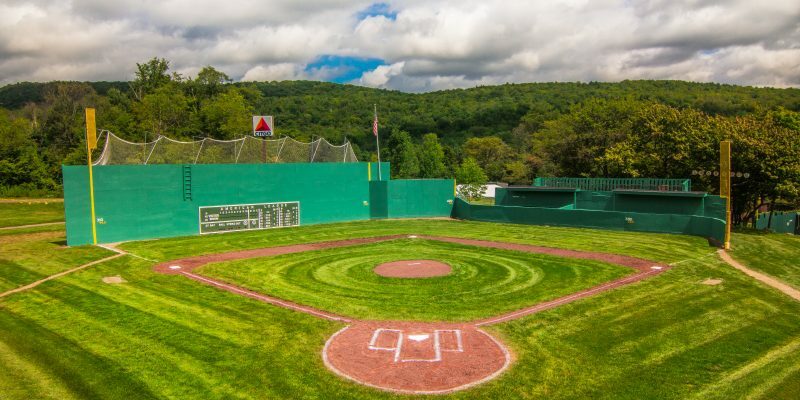 The Wiffle ball park is comprised of three fields, each a to-scale replica of famous baseball parks including Wrigley Field, Fenway Park and the Field of Dreams. Little Wrigley, as it is affectionately named, features ivy and a chalk-style scoreboard. Little Fenway is complete with its very own green monster and mini CITGO sign in left field. Little Field of Dreams is meticulously surrounded by cornstalks. In order to reduce the time spent on maintenance, O’Connor consulted with local well drilling, irrigation and lawn maintenance dealers and contractors to find a solution that was good for the field and enabled O’Connor to dedicate more time to other areas of the foundation. Spafford & Sons Water Wells in Jericho, Vermont, was selected to help lead the installation of the new sprinkler system and pump monitoring. The Spafford team installed a GWT Aquavar SOLO2 constant pressure system with a NEMA 3R enclosure and a 1.5HP 18GPM GS 4” submersible pump. The GS 4” submersible pump features stainless steel construction for convenient serviceability and industry leading hydraulic performance, which is needed to reach all three fields, and allows for convenient serviceability so Williams and his team can address potential issues easily. In its 16-year history, the Travis Roy Foundation has raised more than $4.6 million for spinal cord injury research and grants. With the new GWT pump system, the Wiffle ball park is in top shape all season, not just when the area receives sufficient rainfall. This allows the Travis Roy Foundation to focus on increasing participation in tournaments and advocacy for spinal cord injury research.